Journalism Strikes a Flame at Indus Valley World School. On the 22nd of November, 2018, a seminar was held at the school campus of Indus Valley World School on the topic of discussion being – “The Role of Journalism in Today’s World”. 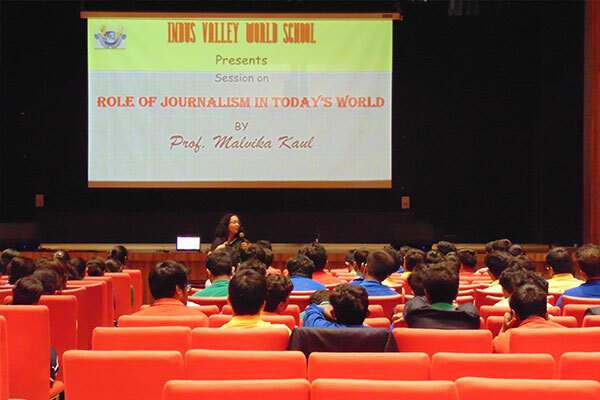 Professor Malvika Kaul of Bennett University, who is also a criminal reporter for the English daily, Times of India, convened this seminar and shared her personal experiences in the field of journalism over the years. In a democratic country, like India, media plays a vital role in representing and expressing the public opinion on national and state issues and also in criticizing the government at different levels. This stream of opportunities can only be achieved if one studies journalism. This interactive session went on from 12:30 pm till 2 pm in the afternoon and the students were also actively participating in the open quiz about the history of mass media and the press. She provided students with key ideas of becoming a reporter as well and how to approach the news and how to deliever it. 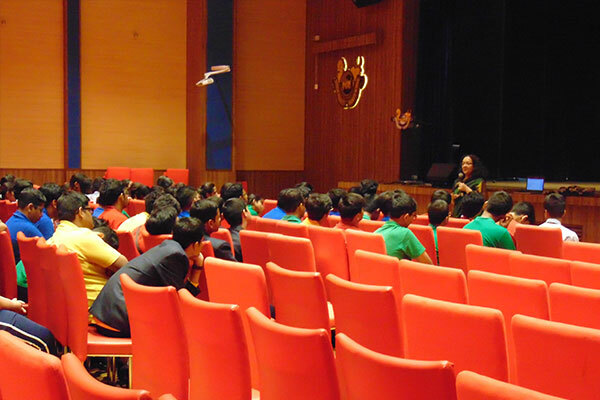 She heavily encouraged students to pursue their dreams and if journalism is their dream, they could join Bennett University, as she is an associate professor at the university. 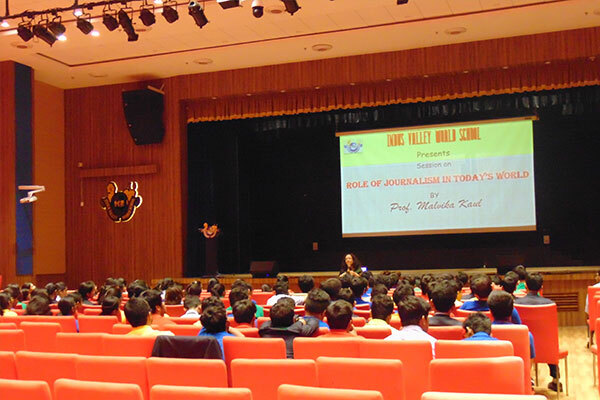 Students enjoyed the short session on journalism and a few curious minds even raised their own questions. The little insight they got of the world of press, media, reporters, news and the way everything worls behind the curtains surely thrilled them. Personal crime reporting experiences were shared by professor and this would have surely provoked and encouraged other young minds to tell their own stories as well and be the voice of the vast public.